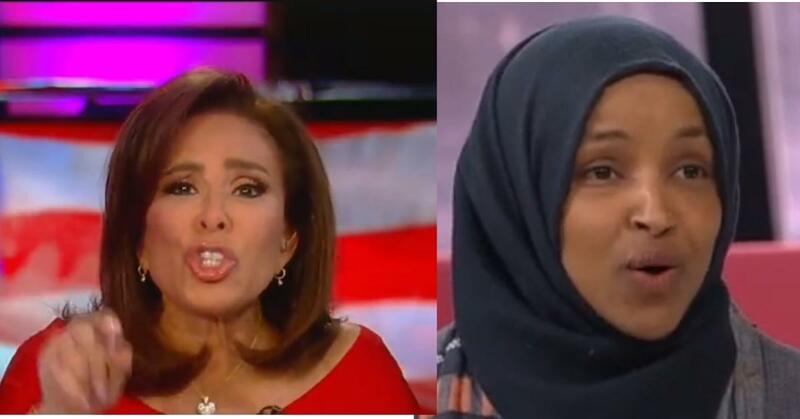 Update: Congresswoman Ilhan Omar on Monday thanked Fox News for its apology after a controversial segment where popular host Jeanine Pirro questioned Omar's commitment to the constitution and loyalty to the US due to her decision to wear the hijab. In a tweet, Omar thanked the cable news channel and said "no one's commitment to our constitution should be questioned because of their faith or country of birth." Pirro, meanwhile, offered a statement of her own where she clarified that she didn't mean to suggest that all Muslims didn't support the constitution, and invited Omar to appear on her show whenever for a discussion of "important issues facing America today." Popular Fox News host Judge Jeanine Pirro is under fire after a now viral Saturday segment wherein she questioned Democratic Congresswoman Ilhan Omar’s loyalty to the United States due to her Muslim identity and especially because she wears a hijab, later resulting in a rare rebuke from her own network. The Fox host said that given her views for which she's recently been in hot water couldn't have come from the Democrat party, but must have more sinister anti-American origins. "Think about it: Omar wears a hijab," Pirro began "Is her adherence to this Islamic doctrine indicative of her adherence to Sharia law, which in itself is antithetical to the United States Constitution?" Outcry from a number of media figures and legal groups on both the left and the right resulted in Fox later on Sunday issuing a rare statement which "strongly condemned" the segment. "We strongly condemn Jeanine Pirro's comments about Rep. Ilhan Omar," Fox News said in the statement. "They do not reflect those of the network and we have addressed the matter with her directly." The clip was then removed from Fox's YouTube channel, but not before already going viral as the controversy grew into Monday, which resulted in a number of groups, including the American Jewish Committee slamming the segment. "Suggesting that a member of Congress's faith or identity is inconsistent with his or her commitment to uphold the Constitution is ugly bigotry. Muslims, Christians, Jews, and others have long served America with distinction. Judge Jeanine should apologize," the American Jewish Committee said on Twitter. Author James Surowiecki has also been widely cited in his reaction to Pirro's comments: "The irony here is that Pirro is a practicing Catholic. And the slur she's making against Omar — that if she follows the Koran, she can't follow the Constitution — is remarkably similar to the arguments that were once made against Catholic politicians," the popular New Yorker journalist said. I’ve seen a lot of comments about my opening statement from Saturday night’s show and I did not call Representative Omar un-American. My intention was to ask a question and start a debate, but of course because one is Muslim does not mean you don’t support the Constitution. I invite Representative Omar to come on my show any time to discuss all of the important issues facing America today. The controversy follows a row that erupted at the West Virginia state capitol last week over a poster that was hung outside the House of Delegates chamber connecting Omar to the September 11 terrorist attacks, resulting in a physical confrontation and an injuring, and ended with the resignation of a Capitol staffer.